USA Freedom Kids, the latest victims of Trump’s business ethics. If there is a secret to Donald Trump’s success in business, after (1) inherit a large fortune and (2) use the media to create a famous brand, it’s (3) don’t pay people the money you owe them. You’d be surprised how much more profitable it can be to have people supply you with goods and services and not have to pay them anything than the alternative of reimbursing them at the agreed-upon price. He has famously used bankruptcy to burn the people who have been foolish enough to loan him money, and then explained that it was fair because they were “sharks.” He has also applied this method to his dealings with non-sharks — stiffing contractors is a cornerstone of the Trump business model (as USA Today and The Wall Street Journal, among others, have found). 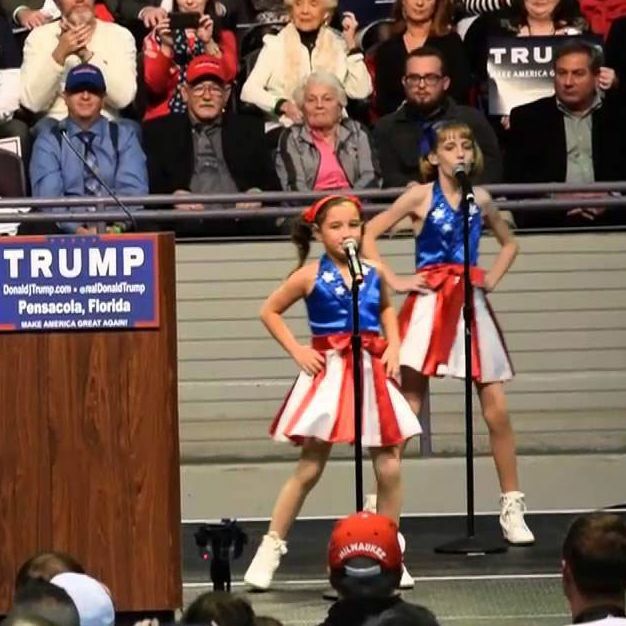 The “USA Freedom Kids,” a cheese-ball youth performance troupe, appeared at a Trump rally last summer and became an instant sensation, partly because of the contrast between the adorableness of the performers and the quasi-fascistic undertones of their lyrics (such as “Deal from strength or get crushed every time”). Jeff Popick, the group’s (adult) manager, told Claire Landsbaum he was attracted to Trump not only for reasons of customer synergy but also personal conviction — “[Trump] knows what he’s doing, and he makes the right decisions,” Popick explained. Alternatively, you could say Popick’s original beliefs about Trump have been vindicated. He didn’t deal with Trump from strength, and he got crushed.